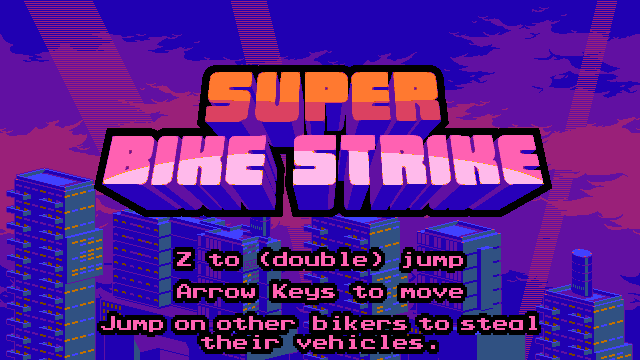 Wow, this game looks fantastic and the concept of switching bikes on the fly is cool as hell. Well done! 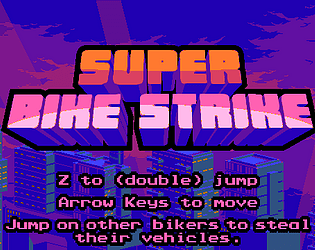 Awesome game with great art, I love how you turn the Shoot'em up gameplay into platforming. Very nice art and animations. It kinda lacks a goal though. This is way more fun than I was expecting it to be! Very fun concept! Great work! The artwork is cute and polished, background music is fun, and the premise is solid.